It was a boom of virtual reality in US back in the nineties. Undoubtedly, today virtual reality came back and VR helmets became lighter, more comfortable with brighter and clearer images. In addition, everyone can afford personal virtual reality helmet now. Some are still under development, some are about to enter market, some are ready for pre-order and lie on store shelves. The helmet of virtual reality is a display that a person can wear. It shows image in conjunction with the head movement so that the picture on the screen always corresponds to the direction in which the person looks. All this makes the headset suitable for games and immersive video environment – a movie that goes on around you and you can look around like in real life. As you can see, the world of gaming is developing dramatically and casino-au.com gives an opportunity to play your favorite games online. The cheapest way to get a virtual reality modern headset is to use your smartphone. Manufacturers offer various options from stylish case with additional electronics to cardboard boxes with plastic lenses. All a person has to do is insert smartphone and here he goes. A great variety of free and paid apps are available for downloading. For example, games, videos, virtual tours and so on. Today it is easy to estimate what you can do in virtual environment. Variety of free and paid apps are available for download for Google Cardboard – games, videos, virtual tours and the like – it is easy to estimate what you can do in virtual reality today. But let us go back to actual headsets: which option to choose from? Here is an overview of the most attractive devices. 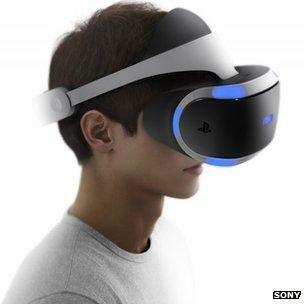 Virtual reality super helmet was created by Sony. It works with the PlayStation 4 and was released in the first half of 2016. New version of the device was announced at Game Developers Conference in 2015. It display size is 5.7 inches, the frame rate is 120 fps, look-up angle is 90+. Device is very comfortable for eyes. HTC Vive was presented at Mobile World Congress 2015. Vive is connected to PC and works with its own gaming ecosystem. Refresh rate of 360-degree tracking is 90 Hz. It is provided with the help of 70 special sensors. Such characteristic provides efficient working without delay. In addition, system is equipped with controller, which allows making shots, moving and interacting with other objects of virtual world. Samsung also developed device for virtual reality. Gear VR is powered by Samsung smartphone (you can buy a helmet for a Note 4 or Galaxy S6). Phone is inserted into headset and connects to it via micro USB. Choose any of these! You won’t regret it.